Apparently, as one of the most popular version, Windows 10 has been used by numerous PC users; Shawn is no exception. At the same time, it becomes a hot trend to create homemade recorded videos on Win 10, like how-to tutorials, Facebook chats, webinar conferences, etc. To be sure, the built-in recording software is far from meeting users' various needs. As a result, we are going to record video windows 10 with a trustworthy and dedicated screen recorder here. 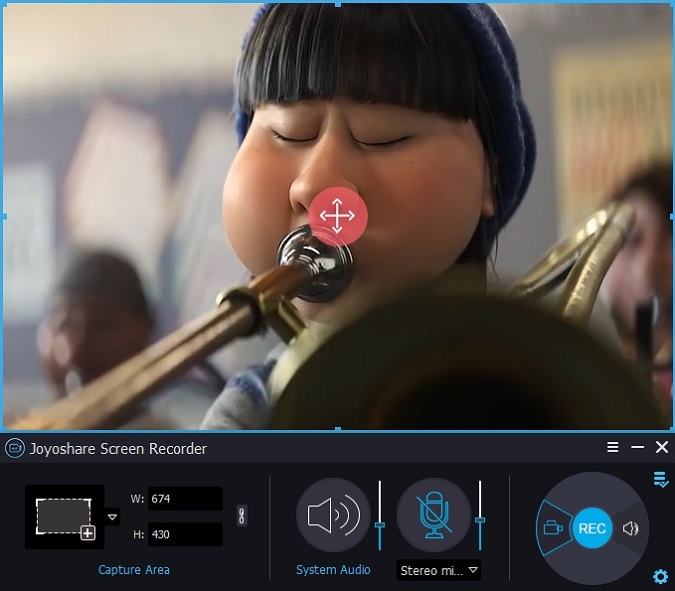 Joyoshare Screen Recorder is devoted to recording videos and audios on both Windows and Mac screen. It has powerful ability to capture video with audio synchronously. Furthermore, it is you who can decide whether to grab system audio and microphone sound. It also gives utmost liberty to set recording area in a customized way. Joyoshare Screen Recorder additionally comes with attractive features to cater to your requirements. It includes full support to all ongoing desktop video activities, such as class lecture, live chat, podcast, streaming movie, self-demonstration, Ted Talk, YouTube video, etc. 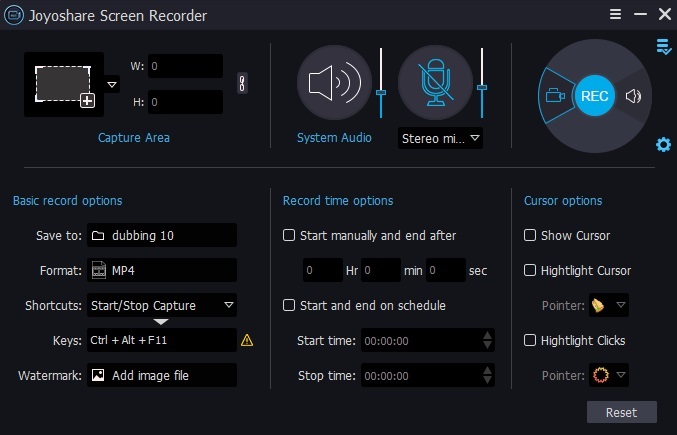 Other than that, this all-round screen recorder also empowers you to set shortcuts, adjust parameters, change format, create recording task, insert unique watermark, spotlight cursors and so forth. Download and install the best screen recorder for Windows 10, Joyoshare Screen Recorder, from its official website. 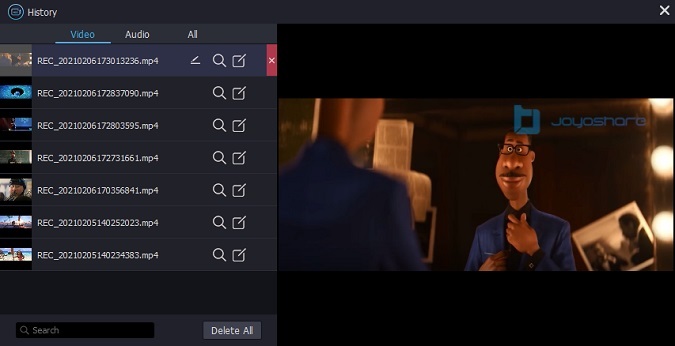 Simply get it run on your Windows 10 and lead yourself to the right "REC" part to verify recording mode, which have to be set as "record video and audio" status. You are supposed to select recording area under "Capture Area" section. Click on the "+" icon to customize region as per actual need or directly choose one from the inverted-triangle drop-down menu. Then move to next part to enable system audio and microphone voice. Do remember to adjust volume to suitable position by using the slider. Now pay attention to the "gear" icon at the right bottom. Press it to display and confirm all settings one after another. Note: After accessing to "Format" panel, you should firstly choose one output video format. Hereafter, don't forget to click on its top right corner. Its "gear" icon allows you to reset bit rate, codec, sample rate, channel, etc. as you like. 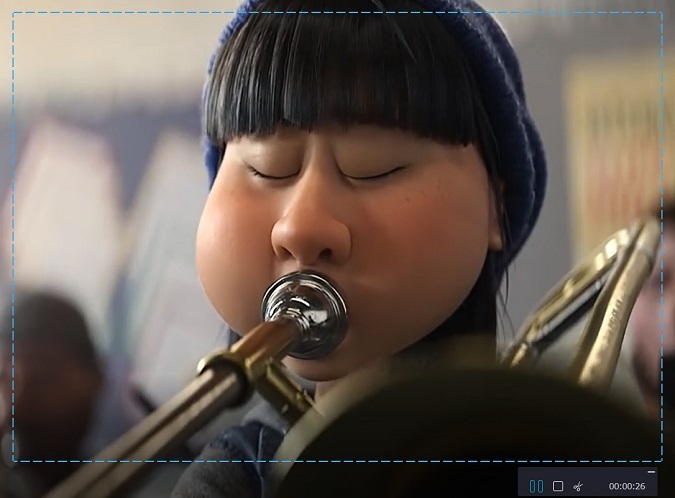 Having changed designated recording options, you can prepare to record video on Windows 10. Get what you would like to capture ready and go ahead to click on "REC" button to initiate a recording process. Make the most use of "pause", "stop" and "cut" buttons during the period of recording. As soon as you stop recording, you're taken to the "History" interface. As you can see, there is a preview window on the right to play recorded video for you. Besides, you can tap on the "Edit" button to trim specific section off.